It’s a Friday night and The Saint is buzzing and brimming with a cocktail of people. Bespectacled hipsters. Bearded folkies. Leather-clad rockers. Blitzen Trapper, a revered alt-country band from Portland, Oregon, is launching into its 90-minute set with a stirring rendition of crowd favorite Furr, the title track off of its 2008 breakout album. 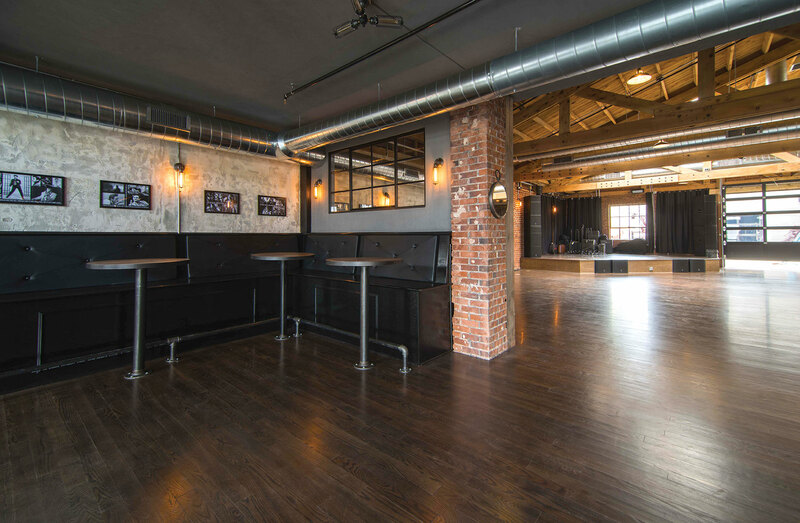 Heads nod softly and feet stomp floorboards as three-part harmonies—soaring above a brightly picked guitar and piping harmonica—echo off the venue’s redbrick walls. Blitzen Trapper frontman Eric Earley smiles as he gazes out over the shoulder-to-shoulder crowd; those in the first row hugging the stage so tightly they could take turns strumming Earley’s gleaming Gibson guitar. Indeed, if one wants to be embraced by positive vibes, engulfed by music and savor a wide selection of beer, The Saint, a newly minted bar and music venue in Reno’s Midtown District, is the place to be. To outsiders, the city of Reno is known, in no particular order, for the following: its cluster of casinos; its moniker as the “The Biggest Little City in the World;” a Johnny Cash lyric involving sociopathic behavior; a Comedy Central farce about the city’s police force; its close proximity to Lake Tahoe and Burning Man; and, for Bill Murray fans, the setting of the climactic scene in the cult comedy Kingpin. 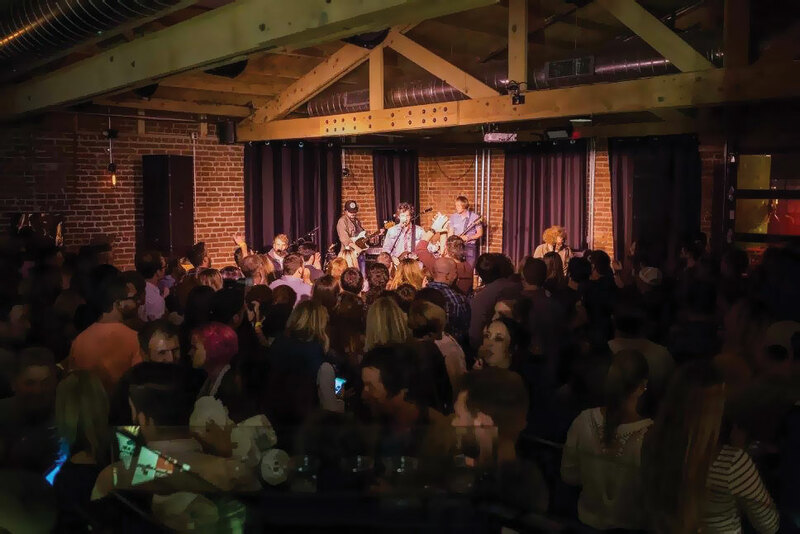 Establishments like The Saint, which opened its doors on April 28, 2016, are focused on adding a renowned music and microbrew scene to Reno’s reputation, says Georgette Crush, promotions and booking manager for The Saint. “Reno used to be kind of just this tourist, gambling town, which, I have no issues with any of that—that’s what this city was founded on, those can all stay,” says Crush, standing near the bar before The Saint’s 4 p.m. opening on a Wednesday. Coincidentally, when The Saint’s owner—Art Farley, who started Saint James Infirmary in 2008 and Brasserie Saint James in 2012, a Reno restaurant/bar and brewpub, respectively—first bought the redbrick building on South Virginia Street in 2013, he wasn’t quite sure what it would be outside of a storage space. With a space flexing a capacity of 216 people, however, The Saint had potential to brew a whole lot more activity, Farley and company thought. “It was like, ‘Well, what do we do with the rest of the location?’” Crush says. A bar was carved out. A beer garden was planted outside. A stage was erected and tucked into the corner. A sound system was wired in. One of The Saint’s creative cogs is general manager Johnny Bailey, frontman of Rigorous Proof, a Reno-based alternative rock band. The Saint, in Bailey’s opinion, has quickly become one of the best spots in Reno for bands of all soundscapes to play. What’s more, Bailey says, The Saint’s 216-person capacity is “the perfect medium” between the typical venue sizes found in Reno. Fact is, with casinos dotting the city, many venues hover around 1,000-person capacities. The rest are bars that tap out around 100 people. 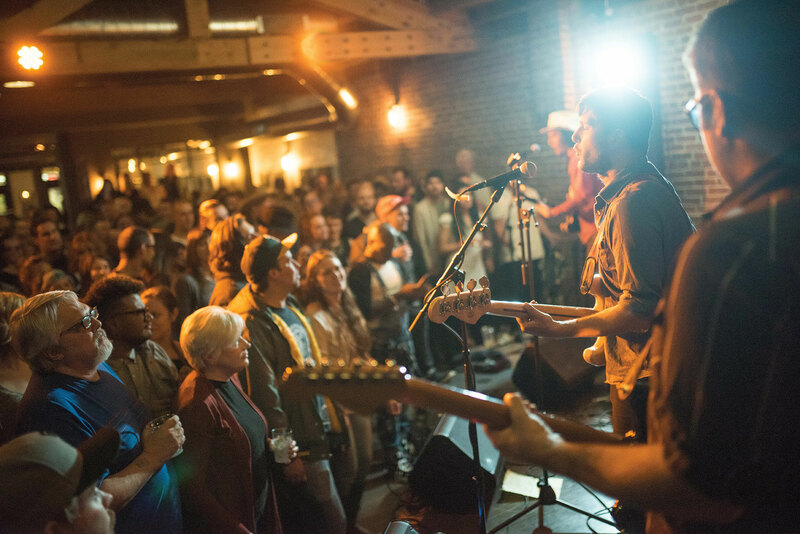 In other words, not only can established national acts like Blitzen Trapper swing through, The Saint gives a bigger stage—in more ways than one—to new and emerging local acts. “It’s a real middle-ground spot,” says Greg Gilmore, frontman of Reno-based roots rock band Silver, which made its debut at The Saint on October 8. “It’s somewhere you can bring a decent crowd and step up from the bar scene without playing to a half-empty, thousand-person room. The 24 local beers on tap at The Saint aren’t your run-of-the-mill suds. 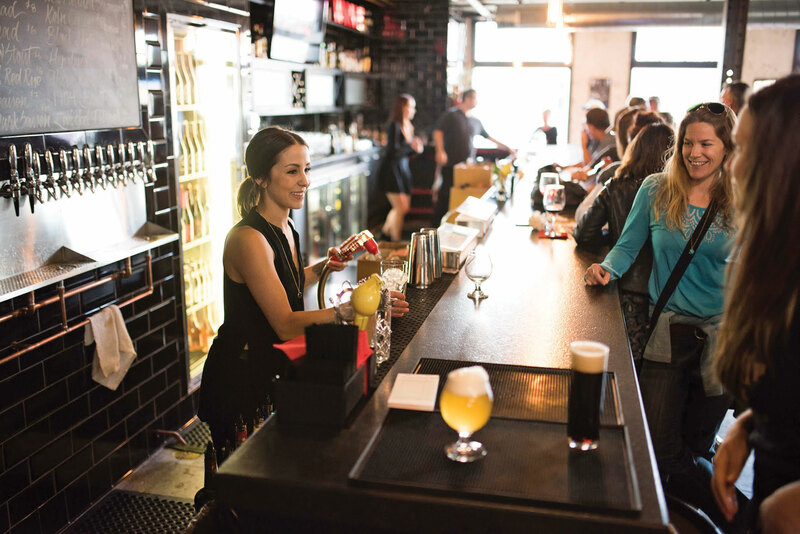 The bar, an extension of neighboring Brasserie Saint James, features the brewpub’s award-winning Red Headed Stranger (red farmhouse ale), Third Man (Belgian-style tripel) and Daily Wages (farmhand saison), among others. Moreover, in 2014, Brasserie Saint James was named Mid-Size Brewpub of the Year at the Great American Beer Festival. In 2016, the brewpub extended its reach over the Sierra Nevada to San Francisco, opening its second location in the heart of the city’s Mission District. “We’ve been brewing our own beer for five years, winning medals and kind of putting Reno on the map,” says Crush. “Our San Francisco location is to let San Francisco know about Reno,” says Crush, adding that Brasserie Saint James currently distributes to Nevada, California, Arizona and Colorado. “Our goal is to pull the hip people here—hip meaning people that are into trying new beer and into being social. Kaleb M. Roedel is a Reno-based writer and music fan.